Samsung has added more new laptops to its range in recent months than any other manufacturer. 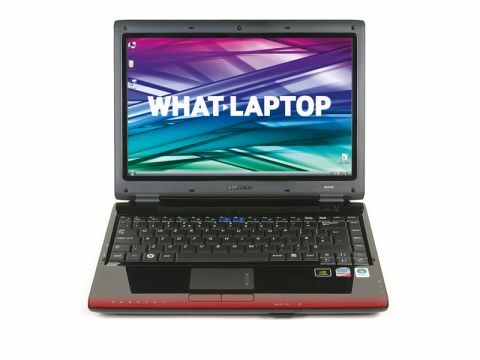 It follows these releases with the Q310 (£699 inc. VAT), which proves to be one of the most powerful, portable and usable laptops we've seen for a long time. The 2.2kg chassis is ideal for travel use, and light enough to carry on long journeys. The 269-minute battery life is outstanding. The glossy ﬁnish is prone to scratches and ﬁngerprints, but build quality is otherwise excellent. Usability is equally impressive. The keyboard is very well made, with one of the smoothest typing actions of any laptop we've seen recently. The glossy design means the palm-rest quickly gets covered with smudges and ﬁngerprints, however. The 13.3-inch screen is sharp, bright and vibrant. Photos and movies look great, so you can stay entertained at home or on the move. The integrated camera above the screen also lets you take your own snapshots or record live video with ease. Performance is the Q310's real strength. Intel's latest Centrino 2 technology and 4096MB of memory are used to stunning effect. All our benchmark tests ran with ease and we noticed no significant slowdown during complex multi-tasking. increasing usability for both consumer and corporate users. Storage is strong and rivals larger laptops. The 250GB hard drive is ample for all but the most demanding user. The dual-layer DVD rewriter is also LightScribe-compatible for burning custom designed labels directly to the surface of DVDs and CDs. A disappointment with the Q310 is its lack of ofﬁce software. Many laptops at this price provide basic ofﬁce usability by installing Microsoft Works, so it's unfortunate that Samsung hasn't done the same. This is only a minor complaint, but worth bearing in mind. Some compensation is provided by a range of proprietary software tools, however, which improve usability for experienced and ﬁrst-time users alike. Applications for network and battery management are included, among others, and all are extremely easy to use. It's hard to fault the Samsung Q310, as power, usability, battery life and screen are all outstanding. Some buyers may be put off by the glossy design or limited software, but it remains one of the best laptops you can buy at this price.